Welcome to my fabulous career. On every day between Easter and Winter Solstice in the year 2013, I will post something from my fabulous career. To see a post just click one of the pages on your right. If you’re not sure what you’re looking for, try the search feature on the upper right hand side of this page. To see some highlights from the past week click the headline above. This was sort of a strange exercise. I’ve been thinking of doing a series of paintings of the East Village of the 1980s (mainly street scenes) and I’m not quite sure how I want things to look. So Just to get started, I did a portrait of myself the way I looked back in those days, using a number of different sources for reference. It’s gouache on a 16″ X 20″ surface called watercolor board (made by Arches). It’s cheaper than the 300 pound watercolor paper I usually use for gouache, but I didn’t really care for it. It’s an odd experience to look at your past self from a distance of decades. Much odder than looking back at other people (who seem more comprehensible with the passage of time). When you look back at yourself, you realize how much you’ll never really understand. After I did the previously posted portrait of my younger self back in the East Village, I felt an urge to bring things up to date. So I did this drawing. It’s pen, brush and Ink on bristol board. Like the piece posted yesterday it’s 16″ X 20″. It’s full title is “Hampden #1: Portrait of Myself as a Middle-Aged man With a Backache.” I’ve got some herniated discs and when my back’s acting up it affects my expression. It affects a lot of things actually. 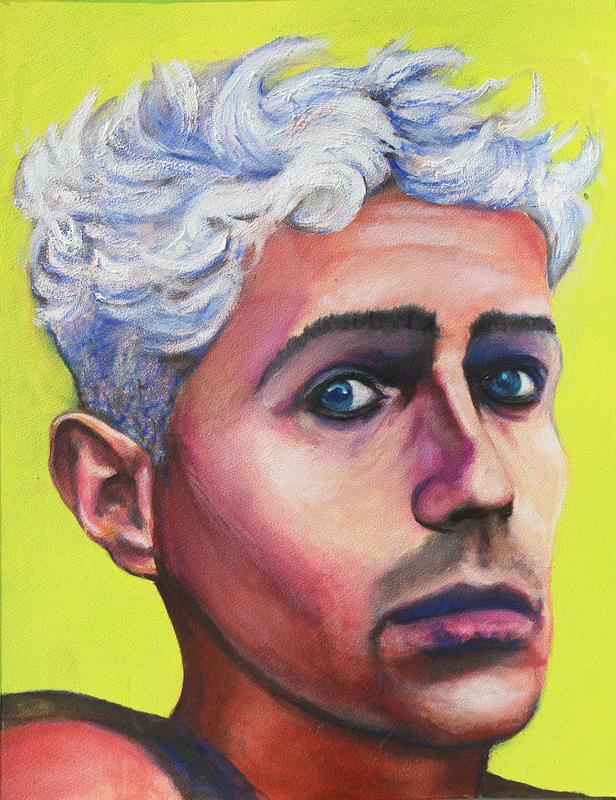 Both self-portraits were done this year. This is the other story that I did for Brooklyn Bridge Magazine that I’m still fond of.Same editor as the previous story. Usually editors are a blessing, but not this guy. So once again, I did a revised version at a reading and that’s the one pasted below. There the similarity ends. I discovered the John Bunny story myself and it was a remarkable story, regardless of embellishments. By contrast , the Brooklyn Bridge Chewing Gum story falls into the category of much of my work-for-hire writing. It was a desperate struggle to make something interesting out of something that I couldn’t care less about. Really, who cares why people in Italy and Greece like Brooklyn Bridge chewing gum and no one else does? Well, If you’re writing about it, you have to come up with something that will make yourself care and that’s a lot of extra work. It didn’t take any effort to be fascinated by John Bunny’s story. It still fascinates me. He was called ”the most famous face in the world.” And that was accurate. He was the world’s most famous movie star prior to Chaplin and he is now completely forgotten. That’s a good enough hook, but it was the startling prescience of his statement at the end of the piece that continues to haunt me. Even the editor remarked on that. “Great ending,” he said. Then he preceded to move it to a different part of the story where it had no impact. Of course I put it back when I revised the piece. On a cool October day in 1910, a stranger, with the unlikely name of John Bunny, appeared on the lot of Vitagraph Studios in Flatbush. He was a, short, overweight, middle-aged Brooklynite, who had the annoying habit of falling asleep when people were talking to him. But that day he was as wide awake as he had ever been in his life. It seemed a generous enough offer for a newcomer who had caught the movie bug. But as shooting commenced, it became obvious to Smith that “this 300 pound mimic of human feelings was not new to acting.” Inquiries revealed that the intruder on the lot was a veteran character actor who had starred on Broadway. “Do I get the job?” Bunny asked the embarrassed partners, after a screening of his debut film Dr. Cupid. “Mr. Bunny, anything we could afford to pay you would be an insult to a man of your talents,” Smith replied. “I’ll take it,” Bunny said. The partners knew they were getting a bargain, but they didn’t realize the extent. John Bunny was about to become the most famous movie star in the world. That may sound like an exaggeration, but it’s the simple truth. During his brief film career (1910-1915), Motion Picture Magazine pronounced Bunny: “The Most Famous Face In The World!” The Detroit News described him as the “World’s Funniest Man.” The New York Times credited him with reviving “Silent Comedy After A Lapse Of Centuries.” And the New York Dramatic Mirror declared:”Bunny’s world-wide fame has never been equaled.” The list of superlatives goes on and on. An estimated 7 million people per day viewed John Bunny films during the peak of his popularity. With a name like “John Bunny” it might seem that he was destined for comedy. But heredity indicated otherwise. The Bunnys were an English seafaring family working on their ninth generation of sailors when John was born in New York in 1863. Growing up in Brooklyn, he attended public and parochial school there, clerked in a general store and then ran off to join a minstrel show. Calling Brooklyn home, but looking for acting work wherever he could find it in touring companies and regional theater, Bunny finally reached star status on Broadway in 1903 with his appearance as ‘The Squire’ in Way Down East. But he never found good parts that easy to come by. So, in 1910, after completing a role as the principal comedian in Fluffy Ruffles, Bunny took the unprecedented step of looking for work in films — a new medium despised by virtually all stage actors. He did it because movies “were cutting into the legitimate [theater] so much I was afraid I’d starve to death if I didn’t.” And unlike his fellow thespians, he believed in the future of the new art. But if Bunny was expecting a warm reception based on his theatrical achievements, he was rudely surprised. The actor would later recall, “I applied to different picture concerns only to be repulsed in every case except the last.” So he took Vitagraph’s $40 a week. Bunny’s great contribution to film comedy was his focus on characterization. As Motion Picture magazine explained in 1916: “Previously to his advent into Screenland, film comedies were either ‘chases’ or grotesque trick photography.” But Bunny sent audiences reeling just by reacting to his perennial costar, the angular Flora Finch. Way before Lon Chancy earned a similar accolade for his make-up skills, Photoplay called Bunny “The man of 1,000,000 faces” because of his endless variety of expressions. More than just a comedian, Bunny was also keenly aware of the potential of the new medium. In 1912, when most westerns were shot in New Jersey and European settings were created on back lots, Bunny took a Vitagraph crew to England to shoot a series of films based on the Pickwick Papers. It was on this trip that the Brooklynite realized just how far his fame had spread. He was recognized everywhere. Striking dockworkers actually interrupted a riot to congratulate the comedian when he inadvertently passed by. Side trips to Paris and Berlin induced similar, if less raucous, responses. It was as if he had never left Brooklyn where fans flocked to see Bunny honored as King of the Coney Island Mardi Gras and ate up publicity photos of him tending his tomato patch in Flatbush. Late in 1914, Bunny took time off from Vitagraph to tour in Bunny In Funnyland, a lavish musical revue created to capitalize on his fame. It received good notices in Baltimore, where it opened. But, due to shoddy financing, the show went belly up after two weeks. At first it seemed the whole troupe would be sent home without a pay check. But then, as Albert Smith put it: “John Bunny’s compassion struck hard at the misfortune. 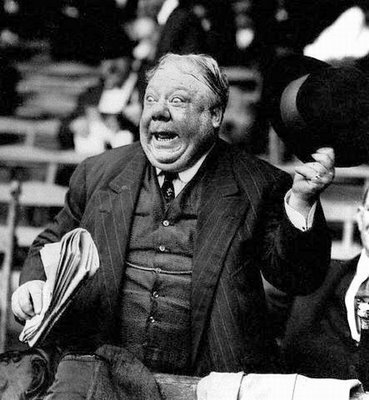 He rallied their courage, told them he would keep the show going… with his own money.” And so he did for 8 more weeks. But the strain of reorganizing the tour proved too much for Bunny. Physically and mentally exhausted, he was living every actors’ nightmare — unraveling onstage. A Chicago review compared his performance to a funeral. The next day The Chicago Tribune summed up the sentiments of the world : “John Bunny lives; he is to be continued; he has achieved immortality.” But, as we now know, the Tribune was wrong. Only a handful of the approximately 200 films Bunny made for Vitagraph exist. These shorts display a capable character actor, but they do little to explain Bunny’s phenomenal ability to amuse earlier audiences. “The most famous face in the world” is forgotten. 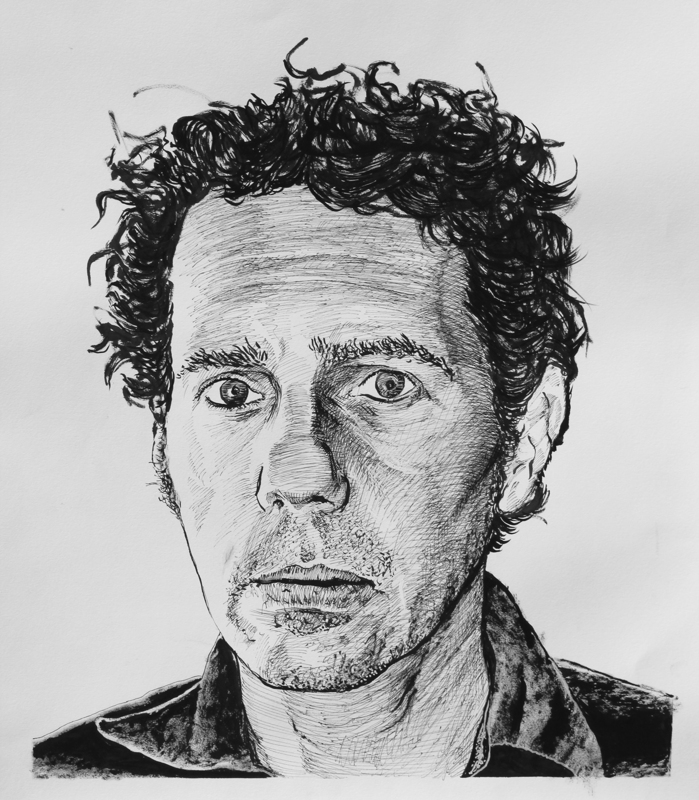 The Most Famous Face In The World is a non-fiction essay that was part of a collection of stories, titled Peter Pigeon of Snug Harbor and Other Tales of New York, that won the 2006 COAHSI Award for Literary Excellence sponsored by JP Morgan Chase and Poets & Writers. It was presented at a Junefest reading at the NYPL’s St. George Library Center that year. 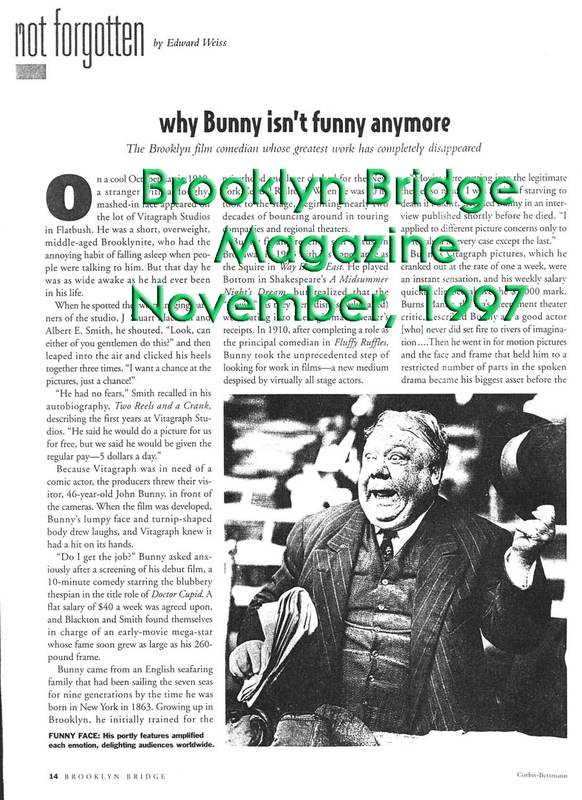 The essay is based on an article that appeared in BROOKLYN BRIDGE MAGAZINE, 11/97, titled Why Bunny Isn’t Funny Anymore.